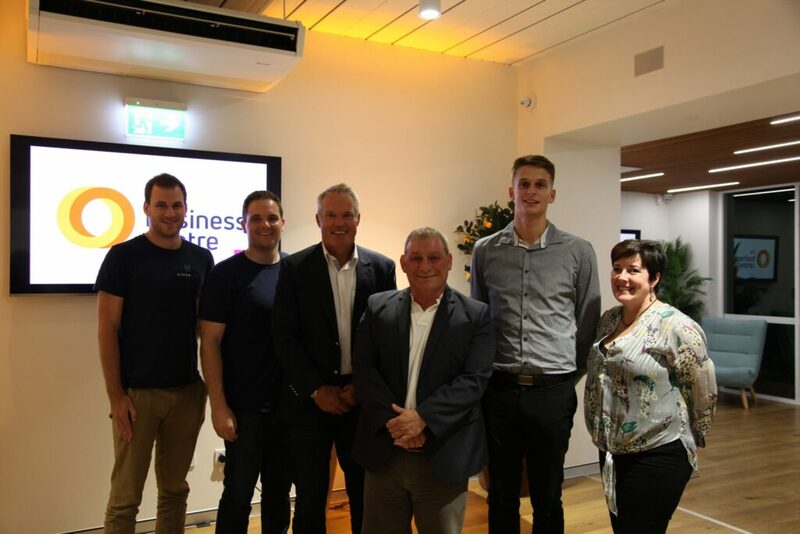 Five hopeful startups pitched their business ideas for the Business Centre’s Pitch Night at Nexus Smart Hub in last night as part of the Spark Festival and Small Business Month. In front of more than 50 industry leaders, investors and members of the Central Coast business community, startups including Uukoo, Jazoodle, CyferLinx, MGA Thermal and Wave Swell Energy all vied for the next big break moving forward with their ventures. Pitch Night participants: Left to Right – Eric Johns and Cameron Owen of Cyferlinx, Dr Tom Wilson of Wave Swell Energy, Andrew Paton-Smith of Jazoodle, Mark Copus of MGA Thermal and Susan Ryan of Uukoo. With globally scalable ideas in the areas of energy, recruitment, augmented reality and business analytics, these startups, powered by the Business Centre, are evidence that investors from Sydney are interested in taking a look at regional ventures. 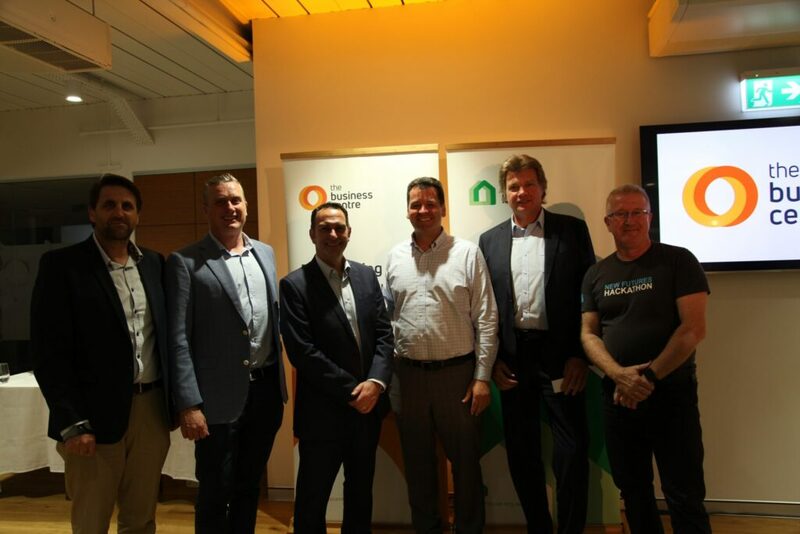 This cohort is the 2rd curated by the Business Centre on the Central Coast in partnership with Nexus Smart Hub and the Henry Kendall Group, working to drive opportunities for the local startup scene. Chief Executive Officer of the Business Centre, Pierre Malou has been working with startups in biotech and big data for more than 15 years and has seen the shift in investors’ mindset toward regional investment. COO of the Business Centre Steve Wait, Damien Wilde of the Henry Kendall Group, CEO of the Business Centre Pierre Malou and the Pitch Night judges Michael Sharpe – State Director of Advanced Manufacturing Growth Centre, Ralf Dahmen of rdconsult and Brian Hill of Laughing Mind at the Central Coast Pitch Night. “Last night the Business Centre saw once again how willing Sydney investors are to jump on the freeway and travel north to look outside of the Sydney innovation ecosystem for exciting new opportunities” said Mr Malou. This pitch night is a sign of the Business Centre’s commitment to supporting high value businesses on the Central Coast and not only supporting new ventures but also offering high value corporate services to large existing organizations from its offices in North Wyong and Gosford.